This 7 episodes a week release is insane! I love it as a watcher but hate is as a recapper lol Well, the romance definitely starts to pick up this episode as Julan’s cool and icy demeanor starts to crack just a little. We get to know Yin Hu a little better, my heart continues to break for Xiao Husband, and Ah Li annoys me a little less. Hey, that’s progress people. It’s here! I only found out about this drama a week ago but let me tell you, it was a very long week lol I’m fairly new to Chinese Dramas. I was browsing an Asian drama website looking for a new Korean drama to watch when I happened upon Ice Fantasy. I devoured it. Thus started my budding crush on Feng Shao Feng. Of course it was only natural that I waited in anticipation for his next drama The Starry Night The Starry Sea, and now here I am waiting and watching The Starry Night The Starry Sea 2. The fall into Chinese Drama junky is a slow and steady one. I have to say, one of the things that first drew me to The Starry Night The Starry Sea (besides Feng Shao Feng) was that the story was not about a mermaid but a merman. I would say that 99% of stories about merpeople are focused on a female. 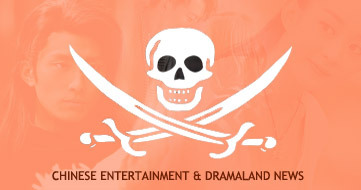 Be it the American industry such as the movies The Little Mermaid and Splash or the international industry such as the Korean dramas Legend of the Blue Sea and Surplus Princess. So the fact that this drama focused on a merman was immediately intriguing. Ok, enough chatter, let’s get this review started. Was just gonna do three listed dramas but ended up having more than 6 featured dramas. Lol. Updates everywhere! Well, if you recently finished the modern version of The Starry Night The Starry Sea (那片星空那片海), a drama adapted from Tong Hua‘s novel about merman, here’s the ancient version to whet your appetite. Looks like they are trying to showcase the leads’ previous love lives… are we going to have three lifetimes here as well?! The main OTP and some cast members will return with the addition of Hong Kong actor, Bosco Wong, with a mask. Mask wearers are so popular recently! No airing date yet but enjoy the first trailer where everyone looks splendid! Due to the confusion in the last post, I will say it here that Tong Hua‘s novel, The Starry Night The Starry Sea (那片星空那片海), was published in 2015, way before Lee Min Ho’s Legend of the Blue Sea even started casting in 2016. With that off my chest, mermaid form Feng Shao Feng is scary-looking. LOL. If I see him anywhere in the water, I would stop breathing immediately and not pull him in a kiss like Haden Kuo did in the new trailer. XD It’s also nice to have a fierce-looking merman for once since they almost always look kind and lovely. Second trailer is intense. Really looking forward to this! Weeeeee! Ending themesong by Zhou Shen is uploaded at the end.